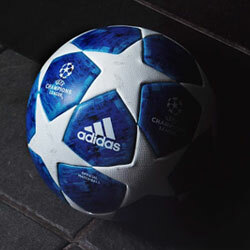 New club crest, new collar, new stripes, but the same effortless Italian style remains. 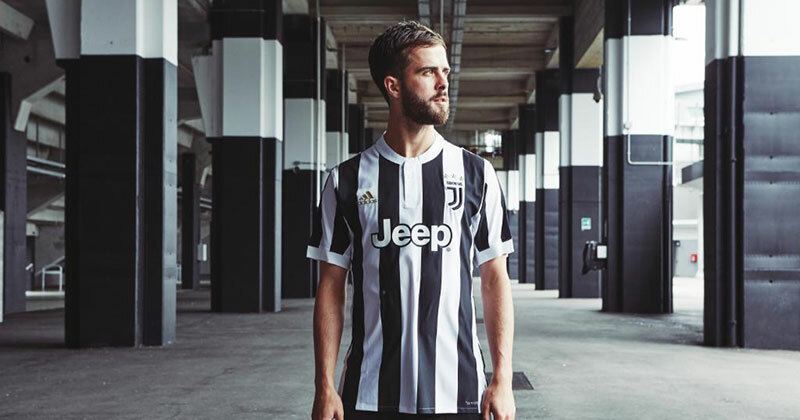 Introducing the 2017/18 Juventus home kit. 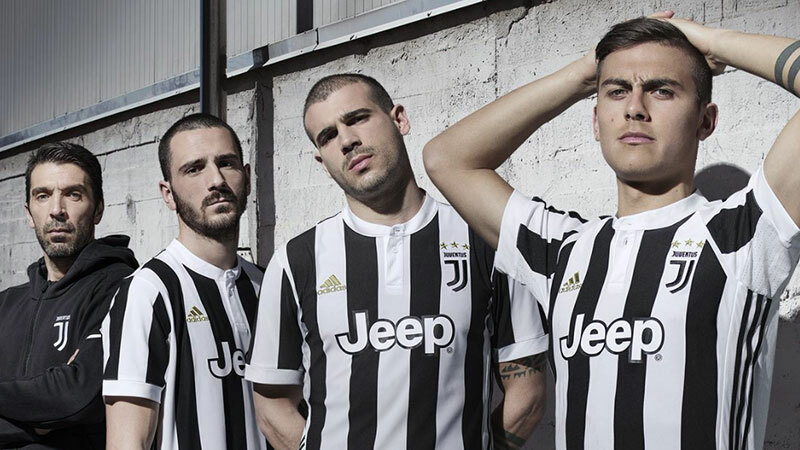 Off the back of another successful Serie A season and impressive run in the Champions League, adidas have delivered again with the Juventus 2017/18 home kit. 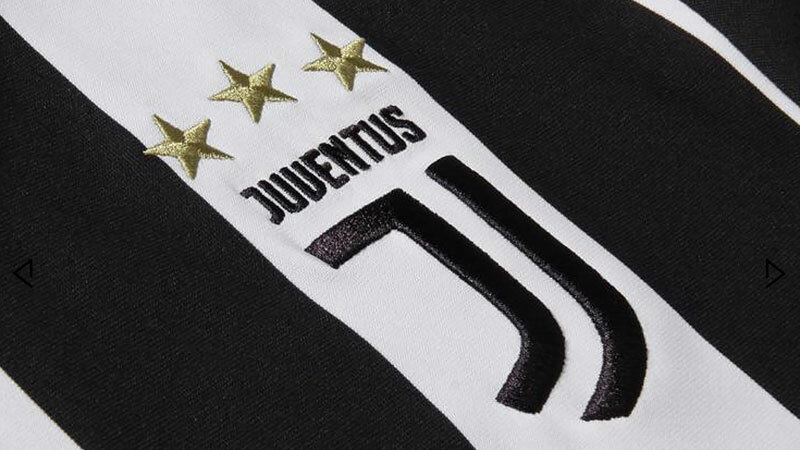 Featuring the Turin side's new redesigned club crest, Juventus' latest home shirt is minimalist and oozes style. The new club emblem proudly sits on the front of both the white shorts and socks of the home kit too. 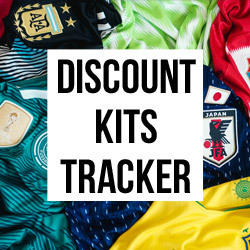 Revealed at the start of 2017, the redesign heralds a new progressive outlook for the Serie A side, with the rebranding showing their forward thinking as they aim to continue to stay ahead of the pack. 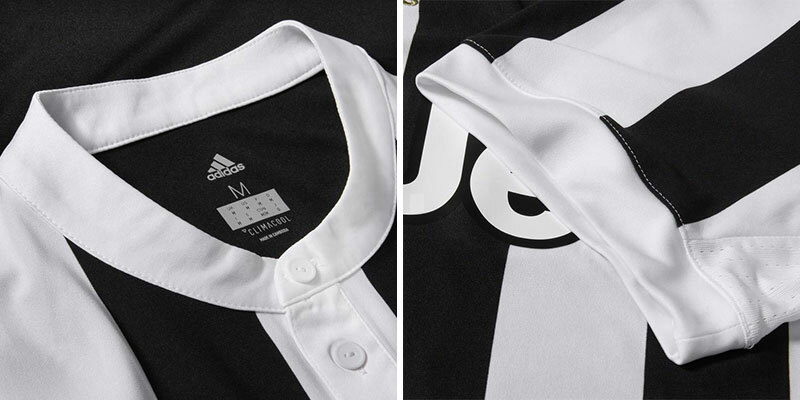 Inspired by Juve's kits from the 1940s, adidas have designed a shirt which looks to the future with a nostalgic nod to the Old Lady's illustrious past — rounded off perfectly with a white grandad collar. 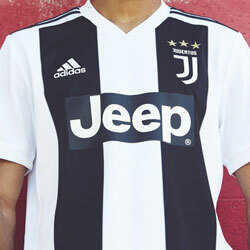 Gold adidas branding neighbours the new crest to celebrate Juve's sixth straight Scudetto, with a subtle 'Jeep' sponsor at the centre of the shirt. Clean, classic and symbolic, it's a winner in our eyes for sure. 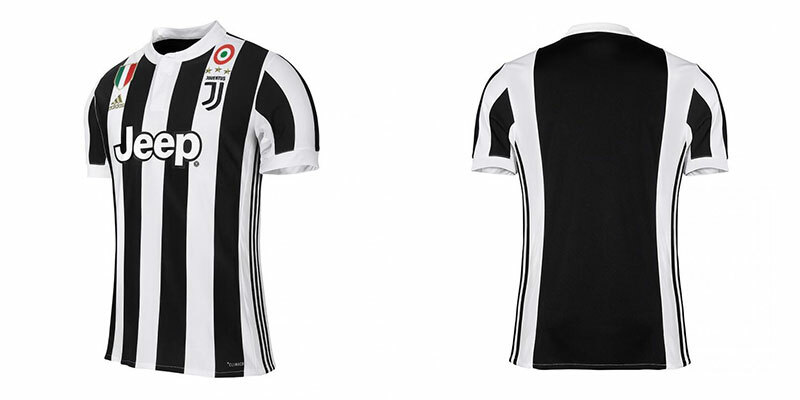 On the reverse of the home shirt, we're treated to a thicker black panel to host the name and numbers of the latest players to represent the Bianconeri. Based around the club's mantra of "Black and White and More", the Old Lady has never looked so elegant.